Home » Starting BJJ » Is Brazilian Jiu-Jitsu a sport or a martial art? Is Brazilian Jiu-Jitsu a sport or a martial art? In all seriousness, it’s both for most jiu-jiteiros. It’s not uncommon for a grappler to lean more heavily to one side instead of the other, but typically, jiu-jiteiros identify with both ends of the spectrum. We enjoy the freedom of training under sport rules (rather than MMA or a simulated street encounter where injuries are more likely because of the increased intensity and because of strikes). Rolling is fun. It’s playful. It’s interesting, and it presents problems that are more intellectually challenging than a self-defense curriculum. 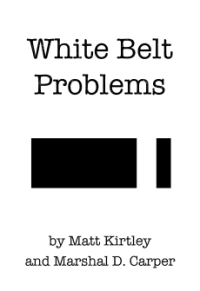 At the same time, most of us identify with the idea of being a martial artist. We might not fixate on self-defense, but we appreciate the way that jiu-jitsu becomes a lifestyle and a lifelong pursuit that is deeply personal. The longer we train, the more we think of jiu-jitsu as an internal competition and less and less of a person vs. person conflict.